The temperature is rising and if you haven’t already planned your summer holiday, the clock is ticking. Before you know it the winter woolies will be packed away and you’ll be searching for a shady spot and a cool drink. There really is no better way to chill out than hitting the beach, so we have compiled our picks for the best beach holiday destinations. 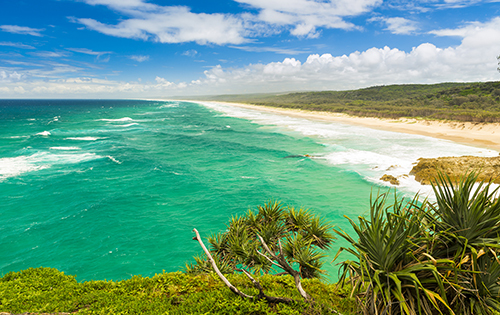 North Stradbroke Island has many beautiful beaches that cater for all types of beach goers. The way the island is situated means that while Main Beach is pumping with some of the best surf in Queensland, Cylinder’s Beach will remain calm and perfect for swimming, fishing and paddle boarding. Stradbroke is a perfect getaway for those wanting to escape the city. With no high-rise in sight, the very laid back island will have you relaxing in no time. Hailed as the surf capital of Australia, Torquay not only boasts fantastic breaks, but safe swimming beaches, great rock fishing, sailing, diving and wake-boarding. When you’re ready to brush the sand off your feet, a visit to the Surfworld Museum or local day spa are a nice change of pace. Fancy a day trip? 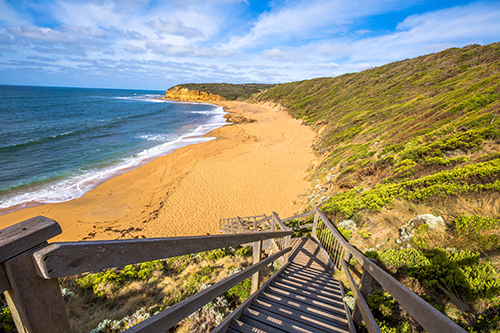 Enjoy the scenery along the Great Ocean Road and visit the 12 Apostles. 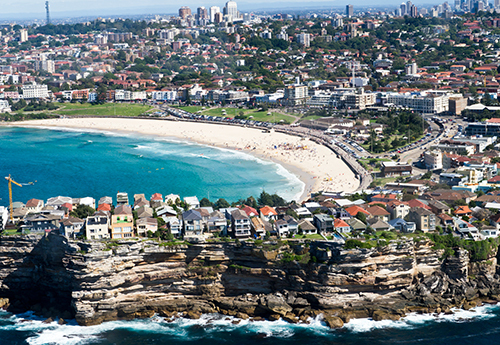 The most popular tourist beach in Australia is without a doubt, Bondi. However Bondi offers a lot more than meets the eye. Swimming is the main attraction on the heavily patrolled beach, with surfing, fishing and sunbathing equally popular activities. For those who love the ocean but not the waves, the Bondi Baths have the best view of any pool we have ever seen. Coastal walks, shopping, and a multitude of hip cafes and restaurants make Bondi the best beach getaway for city lovers. 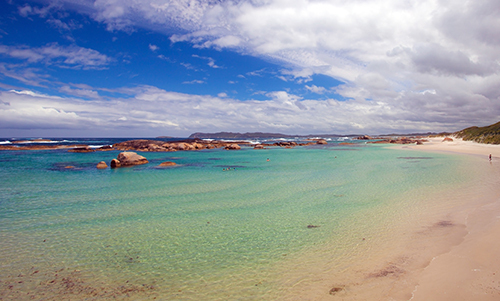 Greens Pool in Denmark, WA, is the perfect (almost) waveless beach. Making it a great spot for families, snorkeling and those who like to explore rock pools without getting splashed in the process. The glassy-clear water and white sand will have you relaxing in no time, surrounded by granite boulders and isolated rocks perfect for jumping off. Last but certainly not least, the crystal clear calm waters of Coles Bay. 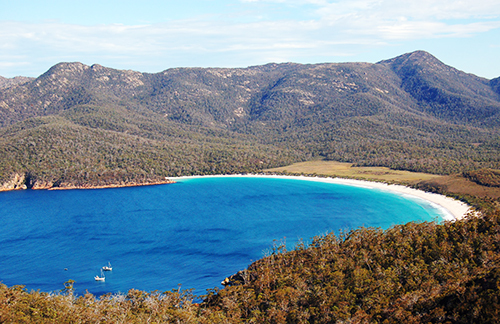 Neighbouring the famous Wine Glass Bay, you can have your pick of untouched beaches or explore Freycinet National Park, home to Tasmanian pademelons, red-necked wallabies and more. This region is perfect for couples, friends and families looking to escape to nature. Don’t be left behind sweltering at home this summer, book your campervan hire today.